Sarah is passionate about building and maintaining a positive and productive work culture. She works within our Service Line teams to develop and maintain programs that result in employee retention, development, satisfaction, and job growth. Her strong business acumen helps her guide the direction of recruiting and integration functions to support the health and sustainability of the service lines and company, as well as help guide individuals to understand how to contribute to the team. Sarah is committed to helping new employees understand the philosophy and company culture, and how to easily connect into teams. Sarah champions the success of employees during every step of the Employee Life Cycle, specifically recruiting and integration. Having responsibility for effective hiring and integration of our employees, Sarah collaborates with Service Line Leaders to develop Strategic Hiring Plans that define and fill the business and expertise needs within the groups. Sarah recognizes the impact of each new role to the team and uses trait-based interviewing techniques to explore a successful fit with the company. Sarah has more than eight years of experience in the human resources field with a focus on recruiting, integration, and professional development. Her expertise includes contract negotiations, benefit administration, employee coaching and HRIS/LMS implementation and administration. 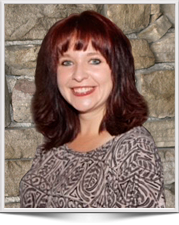 She has experience working in HR within many industries including manufacturing, oil & gas and electrical companies. Sarah is committed to finding talent that aligns with our company’s culture, vision, and principles – resulting in a win for the individual and our firm.